For new hires in healthcare and their Educators, General Orientation is like running a marathon. So many topics to cover, so little time. It is true that general orientation is the window of time that the facility has to officially welcome you as a new hire to the organization and take care of the business of getting you on board. But beyond the Human Resources necessities regarding payroll, benefits and such, there are many topics that must be covered that are designed to introduce you to the vision and priorities of the organization. A hospital in Michigan accidentally posts the medical records of thousands of patients on the internet. A health insurer loses the financial, health and personal information of 450,000 customers, and fails to notify them for six months. And two of the largest pharmacy chains in the U.S. are found discarding patient records and other legally-protected information in unsecured dumpsters. This unnecessary exposure of private information should be alarming. In fact, since the creation of the HIPAA act, the Department of Health and Human Services has investigated approximately 8,000 legitimate complaints of privacy violations. These statistics are simply unacceptable. Healthcare is rightfully obsessed with the need to protect the safety of patients. But what about the safety of healthcare workers? Our society is fraught with violence in the form of gangs, robberies, homicides, domestic quarrels, etc. And unfortunately, this violence can and does spill into the hospitals from the streets, threatening the very health and safety of those we depend on to heal us. The statistics regarding violence in healthcare settings are grim. Violent crime in hospitals increased by 200% from 2004 to 2009. The Joint Commission Sentinel Events database shows that 2011 had the second highest reported rate of criminal events in hospitals since the database’s inception in 1995. Between 35% and 80% of hospital staff have been physically assaulted at least once during their careers. If hospitals are to keep and attract new customers despite increasing competition among providers, as well as meet the requirements by CMS to improve customer service, healthcare facilities must do more to retain and create new patients. Getting providers and staff to understand the necessity for good customer service, as well as the payoff inherent in providing this aspect of good quality care, will be the key to success. Sustainability and Health Care Facilities: It’s Happening! And Why It Must. 1) Healthcare has a substantial environmental impact on the planet. 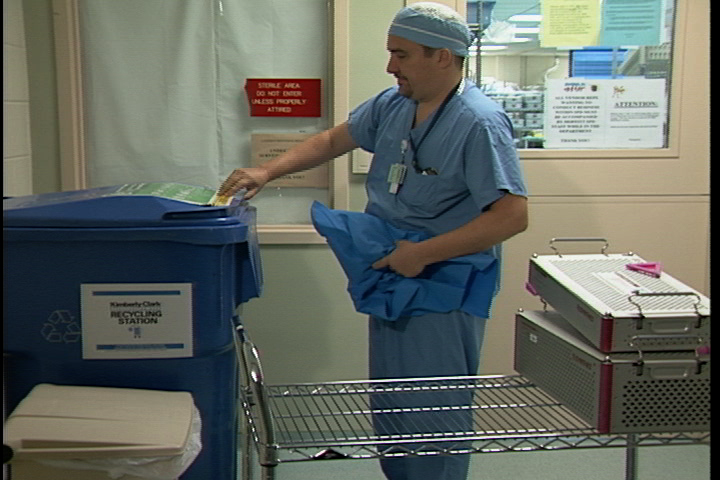 Health care facilities generate an estimated 4 to 6 million tons of waste in the US every year. Sustainability has environmental benefits such as better air quality, cleaner and more abundant water, less waste in landfills and improved energy efficiency if we reduce the impact of how material resources are manufactured, transported and used by hospitals. 2) Sustainability provides health and safety benefits to patients, healthcare workers and the community. The fact is climate change is endangering human health due to extreme weather events, increased air pollution, and an increase in infectious diseases. Reducing the environmental impact improves the health and safety of our communities by reducing asthma, heat-related illnesses, and illnesses caused by extreme weather patterns. 3) Sustainability improves the bottom line. By selecting goods and services that lower purchase prices, or making changes to the way waste is disposed, sustainability can potentially save hospitals more than $15 billion dollars over the next 10 years! When sustainability and performance improvement are incorporated into all areas of the facility, the facility will be smarter and leaner with its resources. This creates a hospital that is successful and can weather the many changes that affect healthcare now and into the future. In a nutshell, sustainability is good for the planet, good for the organization, and good for the community you serve. So the question is not whether to be sustainable, but how to incorporate sustainability effectively. Individually and collectively, healthcare workers and their departments can do quite a lot to contribute to a facility’s efforts towards sustainability. Please join thousands of hospitals and many healthcare groups such as Healthcare Without Harm and the American Hospital Association by taking a pledge to increasing your department’s sustainability efforts. Check with other departments in your healthcare facility and with other facilities to get ideas and inspiration. Educate coworkers on the benefits of sustainability, and encourage their suggestions and participation. Finally, develop a process to identify and explore options to improve your department’s sustainability efforts. To help facilities become more sustainable in the Central Services/Sterile Processing Department and Operating Room, Envision, Inc. has created a training video with IACHSMM, with underwriting by Kimberly Clark Corp. We would love to hear how your facility is becoming more Green! For new hires in healthcare and their Educators, General Orientation is like running a marathon. So many topics to cover, so little time. It is true that general orientation is the window of time that the facility has to officially welcome you as a new hire to the organization and take care of the business of getting you on board. But beyond the Human Resources necessities regarding payroll, benefits and such, there are many topics that must be covered that are designed to introduce you to the vision and priorities of the organization. These include the mandatories dictated by The Joint Commission and other accreditation bodies, the Centers for Medicare and Medicaid Services (CMS), and the Occupational Health and Safety Administration (OSHA). Healthcare is rightfully obsessed with the need to protect the safety of patients. But what about the safety of healthcare workers? Our society is fraught with violence in the form of gangs, robberies, homicides, domestic quarrels, etc. And unfortunately, this violence can and does spill into the hospitals from the streets, threatening the very health and safety of those we depend on to heal us. But, violence in any fashion or form should not be permitted or tolerated by patients, visitors or employees! Follow the Envision, Inc. Blog! CLICK HERE to Follow Envision! Sustainability and Health Care Facilities: It's Happening! And Why It Must.